At Car-Aid we have been in the industry for over 50 years and the current staff has an accumulated knowledge of over 65 year experience and in this time have learned a lot in the ways of engine assembly. We have put together some very interesting combinations to make engines as reliable and powerful as a customer has desired, from vintage engines requiring modern replacement bearings and fully filtered oiling systems to all out drag and drift combos that have made a definite mark in their field. It all starts and ends at the engine assembly. To ensure the best results we use the latest technology to measure everything from the surface finish on the gasket faces to digitally calibrated torque wrenches and stretch gauges to provide the optimum clapping loads. Everything is double/triple measured to within .001mm to make sure that manufactures tolerances and clearances are adhered to and there by providing the best result for a well built and reliable engine for our client. 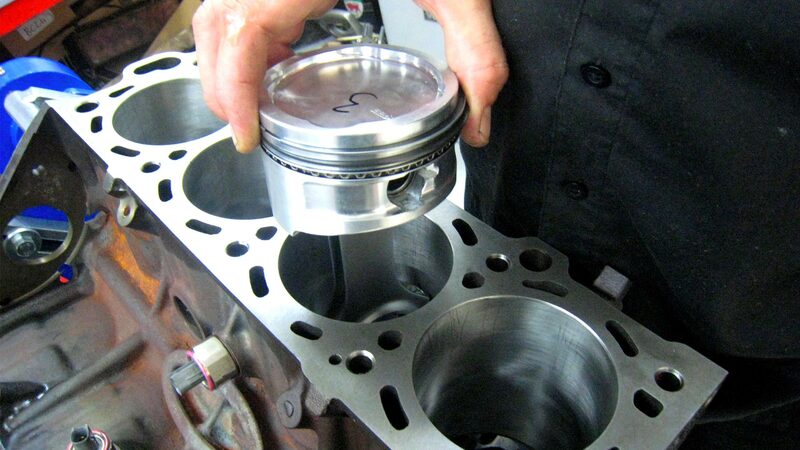 Engine AssemblyWe recommend using some of the highest quality components in the business. If you�re after power and reliability it�s better to spend a little more in the knowledge that your engine has the capabilities to withstand any extra unforeseen forces that you may be subjecting it to. We have dedicated one side of our workshop solely to engine assembly, where there is more than sufficient natural light and away from all the dust and grime that is involved in machining an engine. Components are laid out and checked before the task of final assembly begins. We carry a large volume of information from manufacturers on all the specifics and with this knowledge we can reassemble engines to exceed manufactures specifications (blue printing). These are the basic steps that are involved in proper engine assembly, let alone if you are looking for that extra something then the build goes through a whole process of dummying an engine (maybe several times) to check squish, compression ratios, piston to valve, etc. This is a stage often overlooked by the inexperienced engine builder and the cause of many engine failures. So why would you take your engine to a mate down the road who can do you a cheap deal, unless he can provide all of these services then you�re just throwing your money away, remember – Good engines aren�t cheap, cheap engines aren�t good!